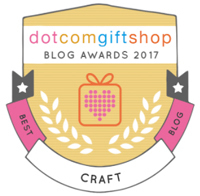 At the beginning of September I started my 5th year of blogging and so I thought I'd celebrate with a little giveaway. To take part all you need to do is leave a comment below and I'll draw one winner on Wednesday October 6th. The winner can then choose one of my latest batch of animals to have as their own. I'll be putting the rest up for sale at the end of next week (some on the blog and some on Etsy - I'll email my advance list with details so please let me know if you'd like to be added to the mailing list). Thanks to everyone who visits here, especially to those of you who take the time to comment. 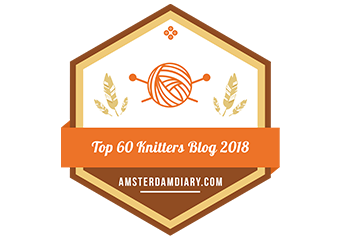 I started blogging because I wanted to share a love of knitting with others and to be a part of a crafty minded community and I'm very lucky to have made some wonderful friends and have discovered lots of creative people. I'm hugely grateful too that I've met lots of wonderful people with personal experience of autism, it's been such a help to read of other people's experiences and to share some of ours. Well, he did it! 75 miles over hill and dale in 6 hours and 20 minutes - Amy thinks her Dad is a superhero! Thanks so very much to the very generous people that sponsored him and for all the kind messages of encouragement wishing him good luck. He's thrilled to have raised a total of £357.50 for the British Heart Foundation. I have not been anywhere near as energetic, though my fingers have been keeping fit but I don't think that knitting 75 metres of yarn in one day comes into the same league, does it! Still, I am finishing off a batch of animals and will have a giveaway very soon so please pop back in a few days if you'd like to win a little cotton rabbit. I don't often write about my husband here but we are really proud of him right now, so we're dragging him into the limelight for a moment. He's been in training for months and is now in the last week of build up, as next Saturday he embarks on a mammoth 75 mile bike ride from London to Brighton to raise funds for the British Heart Foundation. There are 750 people taking part so he'll not be alone and hopefully the day will raise a lot of money for a wonderful cause. If you have a pound or two to spare he'd really appreciate any extra sponsorship - his fundraising page is here. Hopefully he'll be able to get another couple of hundred miles of training in this week and we're keeping our fingers crossed for Saturday to be a dry, mild day with a light breeze so all of the riders can make it to the finish and a well deserved hug from family and friends! Toby has continued to settle nicely into the term time routine and things are beginning to feel relaxed again although I'm not sure that feeling will last long as during the next month we have to choose a senior school for Amy. There will be lots of umming and ahhing and visiting potential schools - I just hope we can get it right for her. Still, for now autumn feels peaceful and productive and we're enjoying making the most of being outside before the colder, wetter winter weather arrives. Thanks so much for the lovely welcome back. Things here are settling nicely back into a manageable routine and although Toby isn't yet calm and content he's definitely changed his mood for the better. I've really enjoyed picking up the needles again and have finished off mr Ro-bot who has been delivered to the reception class teacher at school in time to meet this year's new children. I love the thought that he'll be a friendly helper in their learning. At the moment I'm not going to write up a full pattern for him but I'll run you through how I made him. I used 5 different shades of Rico Creative Cotton and 3.5mm needles and I do have some of each shade left over so 5 balls is plenty. I used 2 decorator / car wash sponges which were approx 13 x 20cms and 5cms deep. I chopped one sponge in half and used 1 half for the head while the other half I cut in half again to make 2 feet. I trimmed the second sponge for his body. I have this sketch which shows how I constructed the blocks (these measurements were for the feet and the head and body were larger). For the legs I cast on 28 stitches and worked 20 rows alternating between 4 rows of 2 separate colours. I sewed the back seam up to make a tube and then sewed this to the top of the foot before stuffing it firmly and then sewing it to the finished body. The arms were just my knitted christmas stocking pattern with more rows at the end to form the hand. I ran a length of thread through the back of the knitting at the wrist to gather it in and tied it off after stuffing the hand before finishing sewing up and stuffing the arm. The fingers were i-cords of 3 stitches and 8 rows. The ‘ears’ are knitted in the round - starting off with 20 stitches and over several rows decreasing until 8 remained then gathering the remainder to make a sort of bobble and stuffing them before sewing them to the sides of the head. I did the same with the antennae but carried on until 3 stitches remained and then did a short i-cord. I didn't stuff the bobble but squashed it flat and sewed it in place. The eyes are knitted bobbles in white 4 ply yarn and the smile is a 6 cm i-cord in 4ply yarn and 2.5mm needles sewn on. If you wanted to make a similar robot of your own I'd start by cutting your cubes of sponge up first. Then cast on as many stitches as you think you'll need and match your knitting to fit - that's what I did but I didn't keep decent notes. I do remember that I put a reverse stocking stitch to mark the corners as this gives the knitted fabric a natural right angle bend. If I get the chance to make another one in future I'll keep better notes and try to write up a proper pattern to share. With the children back at school there is sweet relief in the air today, which is a quiet and peaceful day full of the promise of a little time for knitting. Toby has been quite impossible over the last few weeks with many, many raging tantrums, hurting both himself and us. They've been frighteningly intense and there's been no telling when he'll come out of each nor what has been causing such extreme frustration and rage. It's made us more uncertain of the future and wonder whether at some point we'll be left with no option but to seek residential care for him. But then I need to remind myself that no-one can know what the future holds for Toby and anyway, such dark thoughts are best pushed away on a day like today because the sun is shining here and after 7 weeks of not much time to myself I now have 6 hours that I can call my very own. I'd not have you think it's been all been doom and gloom either because there have been sweet moments of cuddles, tickles and giggles, fun at the park and peaceful walks in the woods with the children. Amy and I also managed to squeeze our garden campout into the last week. First we went on an unsuccessful hedgehog hunt (although there have been signs that hodgers are back in our garden again after an absence of a year or so), then we made hot chocolate with marshmallows and settled down to tell stories and read until midnight. I do feel a little melancholy that summer is drawing to a close but I can't deny being relieved that school has resumed so that Toby can settle into a routine again. 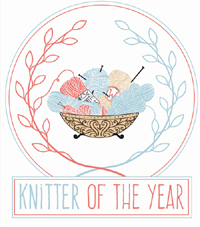 I'm happy too that I can pick up my knitting again. I'm putting the finishing touches to something I've been making especially for the reception class at Amy's school, hope to have a picture of him finished later in the week. 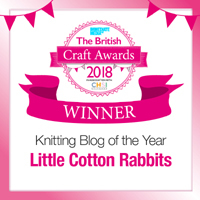 Once I've had the chance to get a little bunny knitting done I'll be having a giveaway to celebrate my blogging anniversary but for now it's nice to be back and I look forward to catching up with everyone.